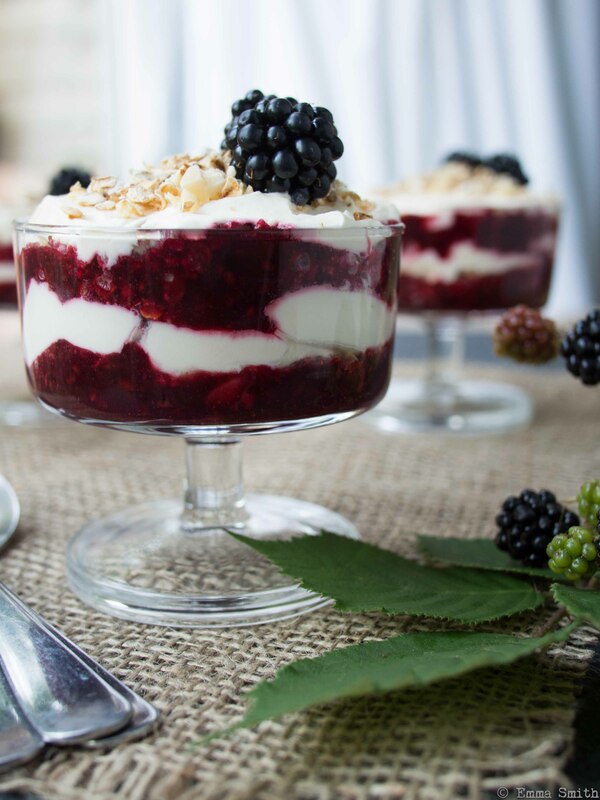 Having just returned from a fabulous break in Edinburgh at the Fringe festival and picking bags upon bags of plump blackberries from my neighbours wall – which are now stocked up in the freezer until crumble season is upon us – I wanted to attempt a twist on a classic Scottish dessert. Traditionally, cranachan is made with raspberries but seeing as I have a bounty of blackberries I went with the free fruit option. I have also added some chopped roasted hazelnuts and brown sugar for added crunch so this is my version of the dessert. Scatter the oats into a heavy based frying pan and toast gently over a medium heat for 5-10 minutes until golden and crunchy making sure to stir to avoid catching as the oats can burn easily. Add the hazelnuts for a minute then remove from the heat and stir in the sugar to combine and set aside to cool. Reserve 8 blackberries for decoration and purée the rest with a little honey to taste if they are not too sweet. Pour the cream, whisky and honey into a bowl and lightly whip until it forms soft peaks. Now start layering your dessert glasses, first with a heaped tablespoon of the blackberry puree, then oats and then cream on top repeating so that you have six layers in each glass. 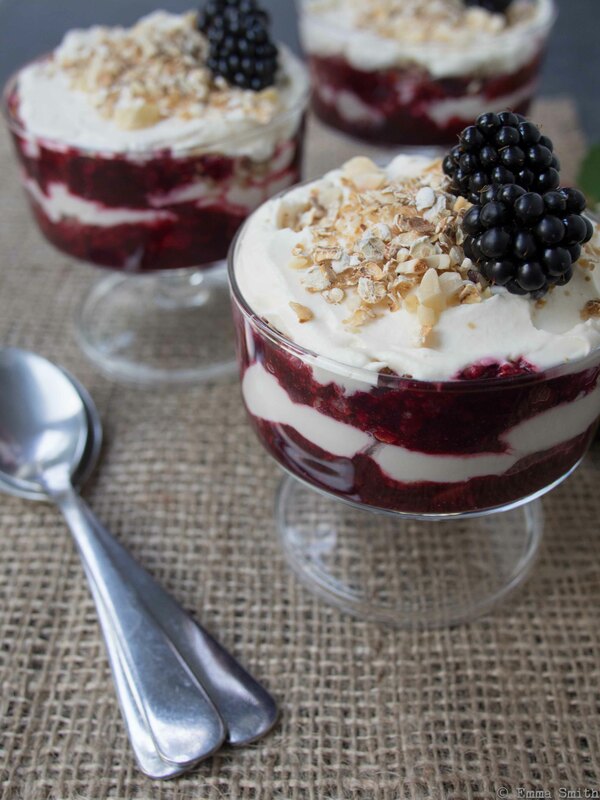 Sprinkle the top cream layer with some toasted oats, add a couple of blackberries and serve.